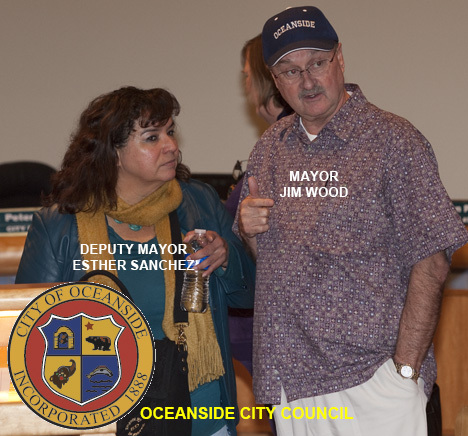 OCEANSIDE'S MAYOR JIM WOOD TAKES THE COVER UP OF 12 YEARS OF FIRST RESPONDER UNION PUBLIC CORRUPTION, CONSPIRACY, AND OBSTRUCTION OF JUSTICE ON THE ROAD, WITH A RUN FOR SAN DIEGO COUNTY SUPERVISOR - CITIZENS BEWARE !!! One of Oceanside's most corrupt elected officials, Mayor Jim Wood, has announced he will run for San Diego County Supervisor in District 5, against incumbent Bill Horn. Mayor Wood is well known in the North County for selling votes and protection, to Public and Private Unions, while they criminally defrauded citizens of millions$$$. 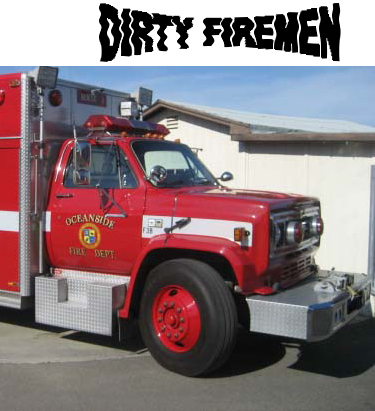 The hard evidence, of Mayor Jim Wood's long term involvement in UNION PUBLIC CORRUPTION started surfacing in 2009, in GTI News's undercover investigation of the Oceanside Police & Firefighter Unions Organized Crime. Wood had spent 31 years as an Oceanside Police Officer, in a Police Department that has become well known for its wide spread public corruption. Police and City public union corruption, and conspiracy to obstruct justice so wide spread it meets all criteria for organized crime, racketeering, and domestic terrorism, with a political agenda. Since the early 2000's, when Mayor Wood left the OPD, and entered local politics, the Oceanside Police and Firefighters have been Wood's largest, and most consistent financial supporters, above and below the table. In return Wood has made sure the Police and Firefighter Public Corruption is well protected from criminal complaints, and investigations. That protection system flows both directions, as local law enforcement unions have protected Wood from investigation, arrest, prosecution, and prison. In 2009 - 2010 the Police and Firefighters were criminally conspiring to manipulate elections, and votes, to expand their pay and benefits. Much of which, was KICKED BACK to Mayor Wood, and other elected officials as campaign finance donations. The Police and Firefighter Unions conspiracy was to falsify, and manipulate campaign finance records, in seven local PAC's (Political Action Committees). Coordinated fraudulent campaign advertising literature would be widely distributed, while multiple PAC's financially controlled by the Police and Firefighters, would falsify their records, to hide the evidence of the fraud, and the source of the money, being the Police, Firefighters, and their unions. Three of those PAC's were Mayor Jim Wood's re-election PAC, co-conspirator Deputy Mayor Esther Sanchez's Re-Election PAC, and the election PAC of co-conspirator and union supporter Charles Lowery. Sanchez, like Wood, also has a history of union corruption, and selling votes that continues to this day. Mayor Wood & the City Council were given public, and written notifications many times, as part of GTI's undercover sting. Public notification that their PACs were being used by the Police and Firefighter Unions, to hide payments for falsified campaign literature, to support the ongoing election fraud conspiracy. An election fraud that was verified by the State FPPC. Written Criminal complaints, to document notification, were filed with Mayor Wood, the City Council, City Attorney, the Police Department, and others. All criminal complaints on the Election Fraud, and other police crimes were systematically suppressed, while Mayor Wood, and the City Council made sure the City protected that police cover up from investigation. Mayor Wood used his Mayoral powers many times, with police officer coercion of citizens in public meeting, to keep their mouths shut. Felony criminal complaints were directly filed against Mayor Wood, and OPD officers, for the assaults and false arrest, all of which were never heard from again. 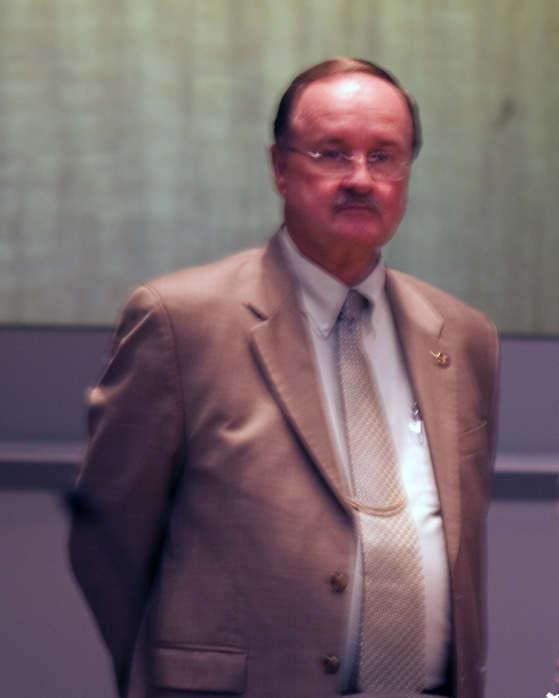 In June of 2010 Mayor Wood's election fraud conspiracy, with Police and Firefighter Unions, succeeded with the election of co-conspirator Charles Lowery, The new Wood, Sanchez, Lowery trio, quickly voted in a $5 million dollar fraud of Oceanside Citizens, in the form of expanded pay and benefits, for their Police and Firefighter supporters. Mayor Wood continued to use his Mayoral powers to support the police suppression of all criminal complaints on the election fraud, and in return Wood was protected from all associated criminal complaints by the Oceanside Police and its officers. Six months later, CM conspirator Lowery failed to get re-elected for a full term. Lowery, and his campaign were in debt from the run for re-election, and the greedy Oceanside First Responder conspiracy was alive and well, with the full protection of Mayor Jim Wood. The Oceanside Police and Firefighter Unions still had more expanded pay and benefit contacts in negotiations, and they wanted approval of those contracts, before Lowery's union swing vote left office. The problems were, the union contract negotiations could not be completed before Lowery left office, and even if they could be completed, there was also no scheduled council meeting, in which to cast the approval votes. Once again, election fraud Mayor Jim Wood, conspired with Deputy Mayor Sanchez, and departing CM Lowery to sell votes to the Police and Firefighters Unions. A few days before Lowery left office, Mayor Wood, Sanchez, and Lowery conspired to use their council vote control, to convert unfinished union negotiation demands, into binding legal memo's of agreement. The legal memos of agreements, which are contracts, allowed the First Responder Unions to lock in the expanded pay and benefits, so they cannot be undone by a council vote, the day after Lowery leaves office. The second problem of no scheduled council meetings, to publicly vote, and approve the legal memos before Lowery leaves office, is also taken care of by corrupt Mayor Wood. The Mayor, has the power in times of EMERGENCY to call a special council meeting on 24 hours notice. The approval of more expanded Police and Firefighter pay and benefits suddenly becomes an EMERGENCY, protected by the police from investigation. The votes are cast in an EMERGENCY MEETING, the day before Lowery leaves office. All the personal debt, and campaign finance debts, of CM Lowery were quickly paid in full, by the Police and Firefighter unions, including Lowery's personal loans. The San Diego Tax Payers Association, and others, estimated the fraud cost Oceanside citizens more than $5 Million dollars. The OPD officers openly obstructed all criminal complaints, and protect Wood, Sanchez, and Lowery from investigations and arrest, as the cops walked away with more money, from a city already deeply in debt, due primarily to per-existing First Responder Union contract benefits. Local and National News organizations, like the Associated Press criminally conspired with the unions, to suppress reporting on the First Responder Unions public corruption for cash payments, to avoid reporting corruption involving large numbers of first responders, and to protect their reporters news access to Police and District Attorney organizations. Large scale Public Corruption by elected officials like Mayor Wood, can only occur when law enforcement unions are directly involved in the Public Corruption, and provide the protection. Mayor Jim Wood's five (5) years of known public corruption, and its cover up, was not limited to election fraud. It also involved obstruction of justice, and conspiracy to obstruct justice in all directions involving the Police and Fire departments. In late 2008, when Mayor Wood's PAC was first used in the First Responder Election Fraud conspiracy, Wood had no idea it would become the least of his problems. Multiple Oceanside Police Evidence Tampering conspiracies with DA's, that were already underway, and others that were about to start, would not only dwarf the election fraud conspiracy, they would destroy the Police public image, that was essential to maintaining the election fraud cover up. 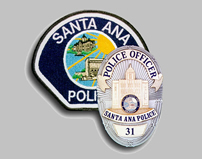 In late 2008 the Oceanside Officer Damon Smith evidence tampering conspiracy had been underway for seven years, but would not be publicly exposed, until March of 2009, or three months after the election fraud was activated. Witnesses to the involvement of other OPD Officers in the Officer Smith evidence tampering would be suppressed by Mayor Wood, the OPD, and the District Attorneys office, to protect other ongoing evidence tampering operations between the Oceanside Police and DA's office. The Oceanside Detective Mike Brown conspiracy with DDA Winn, to cover up felony embezzlement by co-worker Police Sgt. Walter McWilson had only been active since June of 2008, and would remain partially hidden for five year. All as a direct result of Mayor Jim Wood conspiring with Chief of Police Frank McCoy, and other OPD officers, to suppress all complaints, and investigations, while abusing police powers to coerce citizens to keep quiet, and go away. 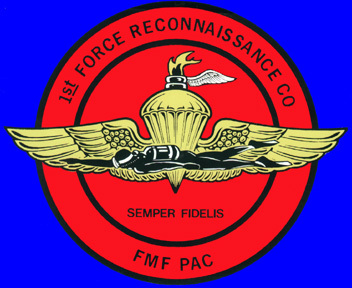 In January 2009 the First Responder election fraud conspiracy activated with the full support, and protection, of Mayor Jim Wood, and his re-election PAC. During that same month, the Oceanside Officer Jon Domonique evidence tampering conspiracy would also activate. An innocent man named Mike Shields went to jail, for a crime that never occurred, while the OPD, and the DA hid the evidence that would clear him. Mayor Wood suppressed public complaints, and conspired with OPD officers to cover it up. All to protect the ongoing OPD election fraud, the recently exposed Officer Damon Smith evidence tampering, and the recent exposure of an Insurance Fraud scheme operating out of the District Attorney's Office. 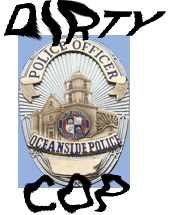 A DA fraud scheme worth $5 Million a year to the DA's unions, with Oceanside Police protection from investigation. Mayor Wood supported the cover up of the DA's insurance fraud for money scheme, because the DA's were supporting the OPD evidence tampering cover up, which also involved multiple dirty Deputy District Attorneys. Eight months later, in August of 2009, the Chief Frank McCoy evidence tampering conspiracy in the Sgt. David Larson criminal investigation activated. 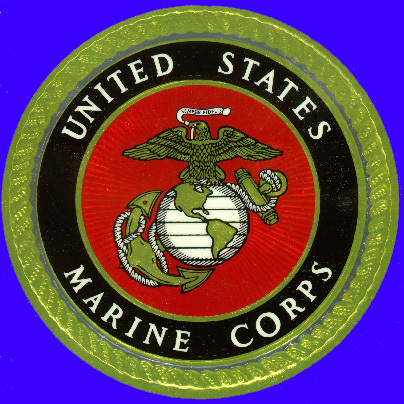 Court documents disclosed that Chief McCoy, Capt. Grigsby, and Sgt. 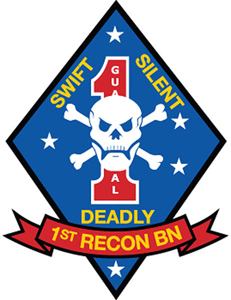 Norton conspired to destroy evidence, and cover up the criminal conduct of Sgt. David Larson. Oceanside Chief McCoy Conspires With Senior Officers To Cover Up The Criminal Conduct Of Police Sgt. David Larson. 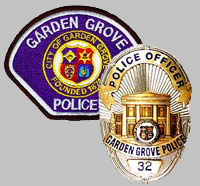 The covered up police conspiracy would re-surface in 2010, and in 2011, and each time Mayor Jim Wood would be instrumental in suppressing public criminal complaints, and supporting the OPD criminal cover up, as Wood continued to take large amounts of money from the police and firefighter unions. When the Chief McCoy police evidence tampering cover up conspiracy surfaced for the third time in 2011, a police officer witness, and his attorney, were threatened in writing by the City Attorney's Office, with criminal prosecution, if they exposed evidence of the conspiracy. Mayor Wood, once again ignored the racketeering crimes, and supported the suppression of all criminal complaints, and investigations of the OPD, and Chief McCoy. All of this public corruption, its cover up, and more are only the highlights of five years of Mayor Jim Wood's career as a politician. Mayor Jim Wood is the perfect example of an organized crime Lieutenant, and a Dirty Cop. Not to bright, corrupt to the core, and a price for anything.